From the title I expected an ordinary boring classic white blouse. Instead, it’s pretty and certainly not ordinary!!! I love the gathers in the front. It looks equally nice with a skirt or slacks…great pattern! Thank you, Judi! The pattern definitely has some interesting features to keep it from being too boring. Oh! I’m so green with jealousy at the perfection of your shirt! 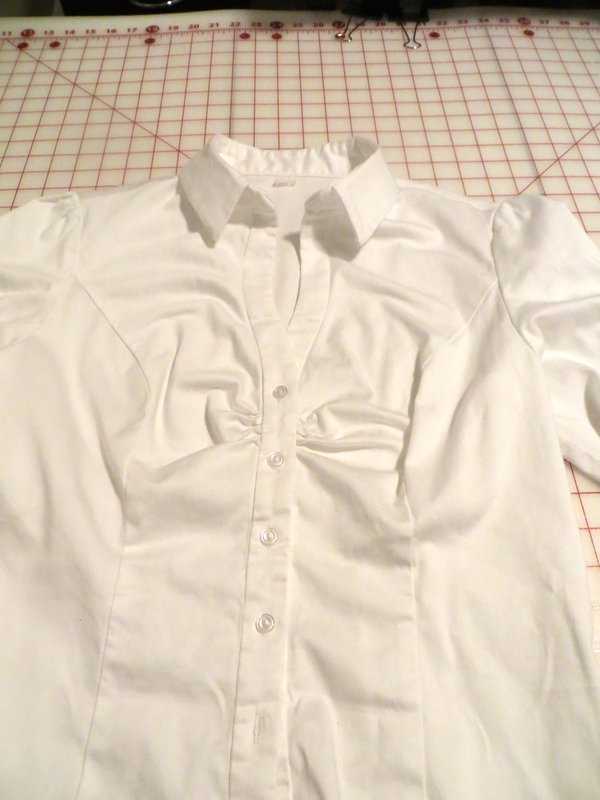 You know I tried to do Sandra Betzina’s shirt the second time she came, but the fit around the shoulders was a total fail, so I didn’t even GET to the collar, etc. I did sign up for that Craftsy class, so i’m glad that will help. 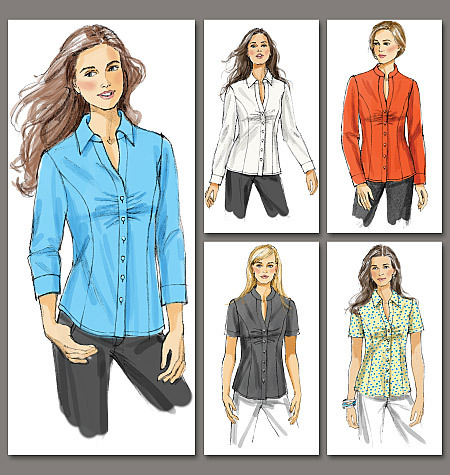 I’ve been longing for the perfect button-up shirt for years now – thanks for the kick in the pants! It’s killing me that I’m starting the new job right around her class – you know I’d be there in a heartbeat! You have managed to take a classic white blouse and turn the volume up. Your fit is great and your stitching is impeccable. Great job! A classic white shirt is indispensable. This looks great! I need to make one for me. I keep making button downs for my boys, but neglect myself. 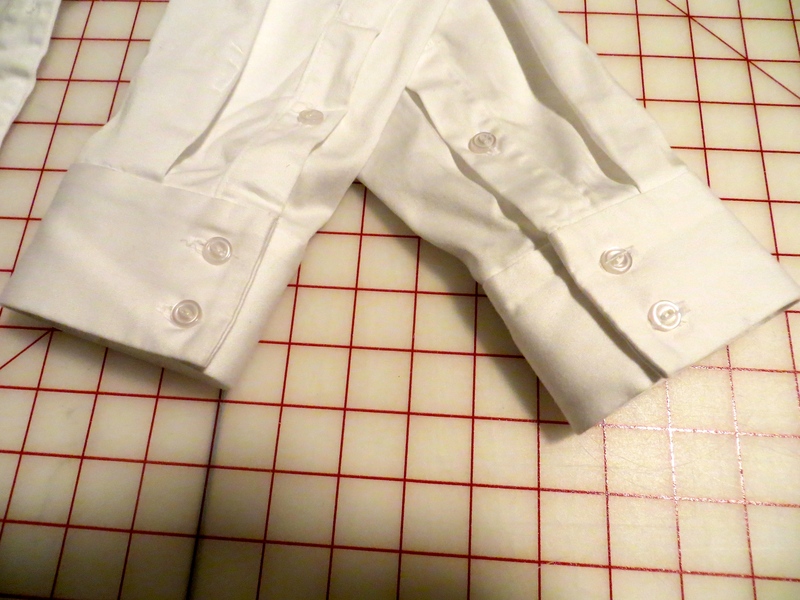 Also, I LOVE my button hole cutter, too. I’ve had this pattern a couple of years now (if not more!) and it’s my TNT – I’ve made a least 7 versions so far – all a bit different – and I’ve played with this pattern to create a couple of different variations that aren’t featured. Your blouse looks lovely. Your versions look great, Sarah! Making variations is definitely a way to get more mileage from a pattern. that looks great.. and so does that green skirt! it fits perfect.. is it a pattern that you made? Thank you, Tasha. The skirt is actually from Nordstrom — Halogen is the brand — and they sell them every season. A great staple! Wow, what a terrific fit! you did a great job. It really works well with everything else in your wardrobe! Such great outfits. Thank you, Becki! Wardrobe staples may not be as fun to sew, but we definitely need them, don’t we? I just purchased this pattern after seeing this blog post! Can’t wait to sew it up! Hopefully mine will turn out as perfect as yours! Beautiful work! Awesome! It is a good pattern to sew. I can’t wait to hear about your version!